Kauai is the westernmost point in the United States. It’s also home to the Kauai Island Brewing Company in Port Allen, making it not only the westernmost brewery in the US, but also in the world. I got a chance to chat with owner Bret Larson and owner/head brewer Dave Curry about running a full craft brewery and pub on Kauai. 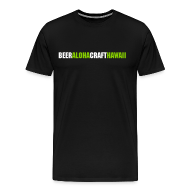 Bret and Dave have a long history of brewing on Kauai as both were involved with the long running Waimea Brewing Company. After WBC closed down they decided Kauai still needed a place to get fresh, locally made craft beer. They opened Kauai Island Brewery and Grill in July 2012 and have been busy keeping up with demand ever since. Dave began home brewing 18 years ago while in college in Chico, CA, also the home of Sierra Nevada Brewing. He says Sierra Nevada Pale Ale was the first craft beer that really opened his eyes to beer and he’s been hooked ever since. Home brewing started as a novel idea for Dave, but it turned into a career when he completed courses at the American Brewers Guild and was quickly hired by Butte Creek Brewery in Chico. While at Butte Creek, Dave was mentored by head brewer Roland Allen, who was previously a brewer at Sierra Nevada. Eventually Dave landed in Kauai as head brewer for Waimea Brewing Company. During his 10 years at WBC Dave brewed local favorites like Na Pali Pale Ale, Cane Fire Red and Captain Cook’s IPA, all of which can now be found at Kauai Island Brewing. Along with many of the old favorites from WBC, Dave is creating new beers like The Fonz IPAAAAAY and a golden ale brewed with 60lbs of fresh, local taro. Local residents have loved the taro beer and he plans on using more local ingredients in beers in the future (mangos!). Currently the Cane Fire Red is the most popular beer, but they have a hard time keep their 2 IPAs on tap because people are loving them. Captain Cooks IPA is brewed with Dave’s favorite hop combination of Simcoe and Chinook and loves brewing IPAs because he tends to drink the same beer he’s brewing on brew days. Being a small brewery on a small island can have it’s difficulties as well. The total cost to operate on Kauai is high with increased shipping prices, general utilities and high state taxes. As with all small breweries, availability of certain hops (Citra) can be hard to get a hold of too. But, customers love the beer and travelers constantly seek out the brewery. While they are not brewing any lagers, which tend to be a favorite in Hawaii, they say that lighter beer drinkers love their American Wheat (Westside Wheat) and the more malty and hoppy Cane Fire Red. They consistently have 10-11 taps of their own brew and like to keep a couple other taps rotating with guest beers like Sierra Nevada Torpedo, Anchor Liberty and Ballast Point Big Eye IPA. So what’s in the future for Kauai Island Brewing? Bret and Dave are busy trying to keep up with demand and hope to continue to provide both locals and travelers with fresh craft beer. 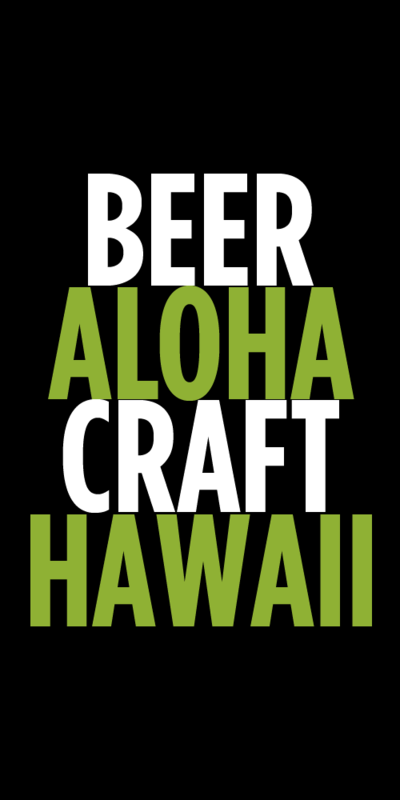 They see Hawaii’s craft beer awareness continuing to grow as well as the demand for fresh locally made craft beer. If you’re ever on Kauai make sure you stop in and say hello and check out some of the local favorites at Kauai Island Brewing. Oh, and Dave’s current favorite beer…Firestone Walker’s Double Double Barrel Ale. Tags: Bret Larson, Dave Curry, Hawaiian Beer, Kauai Island Brewing Company. Bookmark the permalink. Need to get a new one! !